This class will examine how the al Qaeda network established itself in the United States. The class will focus in particular on the 1993 Trade Center attack; the mastermind of that attack, Ramzi Yousef; Yousef’s uncle, Khalid Sheik Mohammed, who would eventually become al Qaeda’s military commander, and Ahmed Ressam who attempted to bomb Los Angeles airport at the time of the Millennium. We will also discuss the role of Brooklyn’s Afghan Refugee Center, which was effectively a branch office of al Qaeda, and Ali Mohamed, a former US army sergeant who was an important leader within al Qaeda. Jim Dwyer et al: Two Seconds under the World (New York, Crown, 1994 ). This is an excellent investigation of the 1993 Trade Center attack. Laurie Mylroie, The War Against America: Saddam Hussein and the World Trade Center Attacks, (New York Regan Books/HarperCollins 2003). Law enforcement and intelligence professionals do not buy Mylroie’s theory that Iraq was behind the first Trade Center attack, but should you want to explore this theory, which has been influential in the Bush administration, read this book. For a critique of her theories see my story in the December 2003 issue of the Washington Monthly. Diary extracts from Omar Sheikh’s extraordinary diary. “Pakistan’s Predicament,” by Pamela Constable, Journal of Democracy, Jan. 2001.
and Pakistan’s Moral Majority; Islamic Fundamentalist Fervor Poses Challenge to Military Regime, June 22, 2000. Aukai Collins, My Jihad, (The Lyons Press Guilford, Connecticut, 2002) pp. 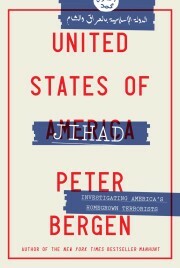 23-40, an interesting account of an American jihadist who trained in Pakistan. This class will examine the 9/11 plot. The Reporters of Der Spiegel magazine. Inside 9-11 What Really Happened (New York, St. Martins Press, 2001) pp 177-202 and pp. 253-321 has an important appendix. The important congressional inquiry into 9/11 can be found at http://news.findlaw.com/wp/docs/911rpt/ Read pages 128-249 for a narrative of the 9/11 attacks. Edited by Barry Rubin and Judith Colp Rubin, Anti-American Terrorism and the Middle East: A Documentary Reader (New York, 2002 Oxford University Press) pp.223-238 and pp. 273-27. Doug Frantz et al, On Plotters Path to US, a Stop at bin Laden Camp, New York Times, September 10 2002. US attempts to counter al Qaeda and its forerunners from the 1993 bombing of the World Trade Center until today. This class will examine how effective the US government has been against al Qaeda, particularly the FBI and CIA. It will also consider how effective the Pentagon has been against al Qaeda. Judith Miller and Don van Natta Jr., In Years of Plots and Clues, Scope of al Qaeda Eluded U.S. This class will consider what actions al Qaeda has attempted to take inside the United States since 9/11. It will also examine a number of cases against American citizens accused of terrorism since the September 11th attacks. Specifically it will examine the cases of John Walker Lindh, Jose Padilla, Richard Reid, the Lackawanna, NY cases, the Oregon cases, the case of Aranout and of Zacarias Moussaoi. Mark Kukis, My Heart Became Attached: The Strange Journey of John Walker Lindh (Brasseys, Washington 2003) A book about Lindh if you want to explore his story further. Michael Powell, No Choice but Guilty; Lackawanna Case Highlights Legal Tilt, Washington Post, July 29, 2003. Paula Span Enemy Combatant Vanishes Into a Legal Black Hole, Washington Post July 30, 2003. This class will examine al Qaeda and other jihadist groups operating in Pakistan since the fall of the Taliban. Particular attention will be paid to the kidnapping/murder of Danny Pearl. Profiles of Terror, collection of essays, (New Delhi, Lotus/Roli books 2002) pp. 39-54 profile of Maulana Masood Azhar by Harinder Baweja. Pakistani Web of Radical Islam,” Wall Street Journal, Jan. 23, 2003. Class 13 Al Qaeda after 9/11. This class will examine how al Qaeda has adapted following the loss of its base in Afghanistan, and how al Qaeda the organization has morphed into al Qaeda the ideology. It will also consider the likely impact of the war in Iraq on the jihadists. White Paper, The Jemaah Islamiyah Arrests and the Threat of Terrorism (Singapore, Ministry of Home Affairs 2003). This is an enormously through investigation of JI in Singapore, which will be of particular interest for anyone researching JI.